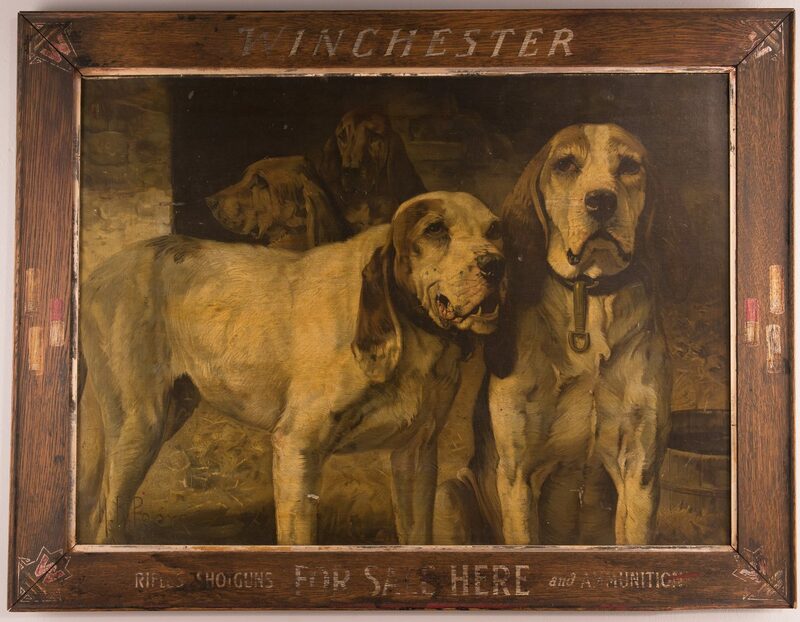 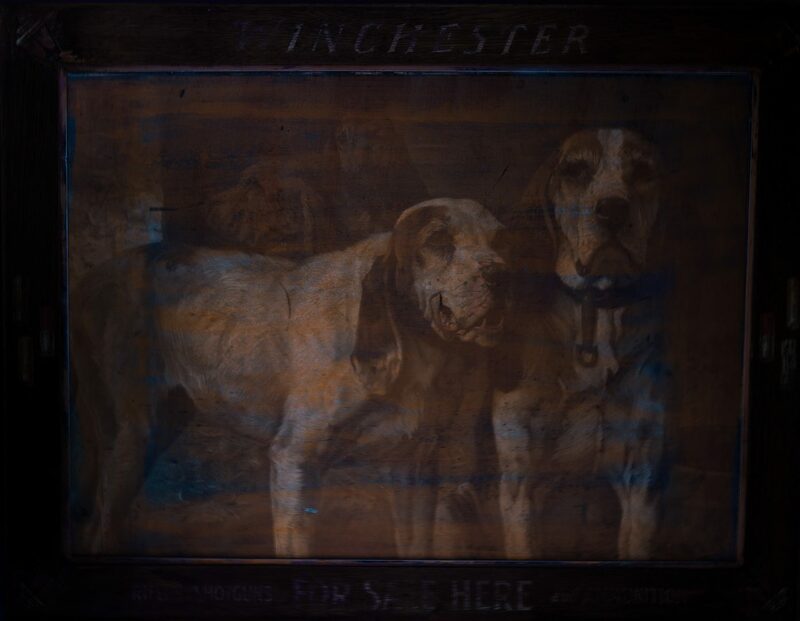 Henry Rankin Poore (Pennsylvania/Connecticut, 1859-1940) Winchester Rifle advertising sign, lithography on board, rectangular form, depicting four "bear-hunting dogs". 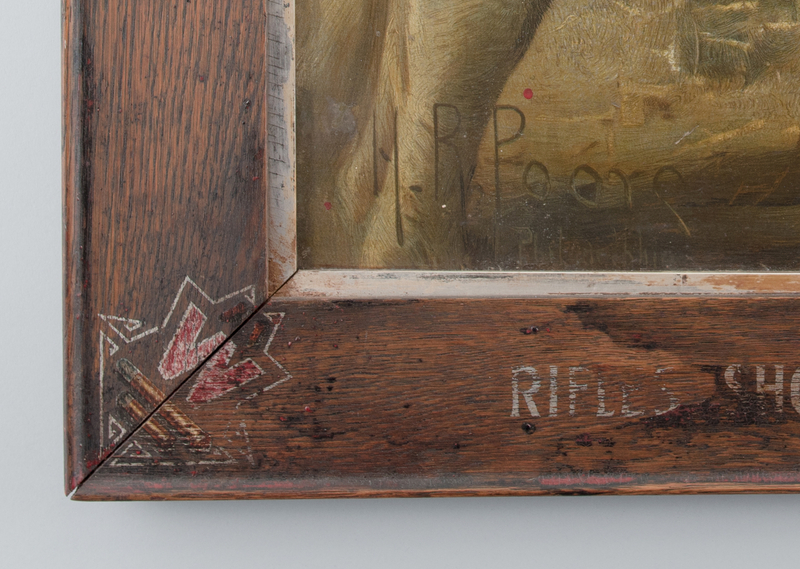 Signed "H. R. Poore Philadelphia" in the stone, lower left. 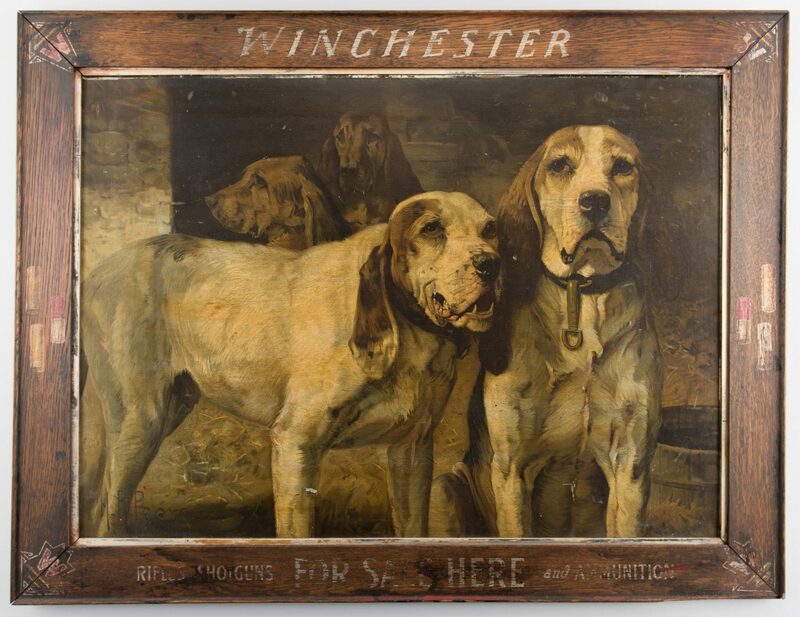 Housed in a Winchester Rifle wooden frame with stenciled advertisement across bottom reading RIFLES SHOTGUNS FOR SALE HIRE AND AMMUNITION along with painted or stenciled images of bullets. 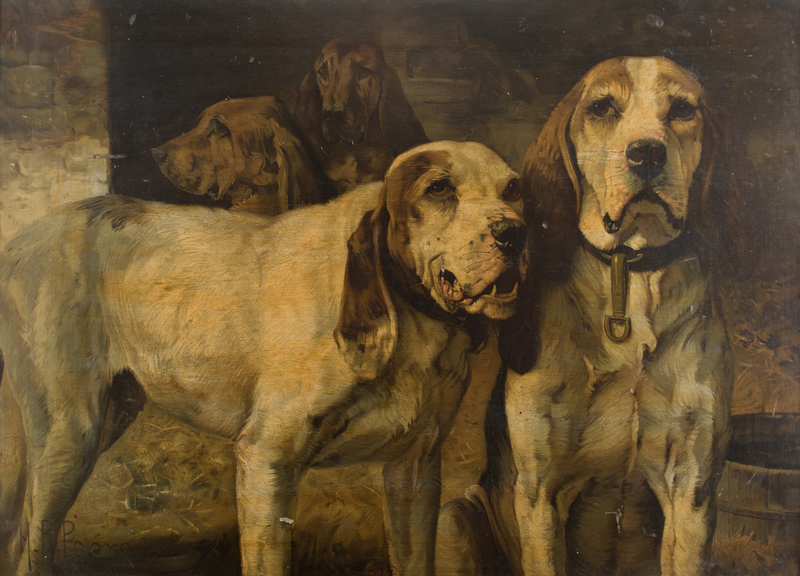 Image – 24 7/8" H x 34 3/8" W. Framed – 31 3/4" H x 41 1/2" W. American, early 20th century. 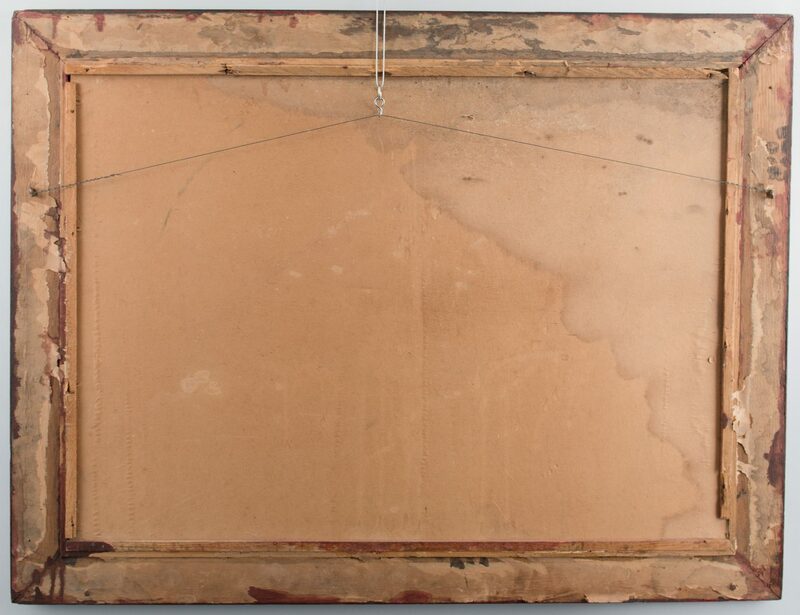 CONDITION: Overall good condition with some abrasions and scratches on surface of sign.